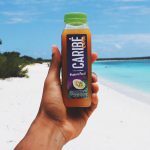 With the long-term goal of further U.S. expansion firmly in its sights, the Sterling, Virginia-based cold-pressed juice company, which specializes in the tropical fruits and flavors of founder Luis Solis’s native Dominican Republic, has raised $2 million from a group of investors to build a new production and co-packing facility in the Dominican Republic which is set to go online this fall. 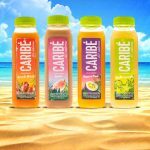 When we first met Caribé juices back in 2015, the company was focused on positioning their products as “Exotic” juices. While this copy still remains, it’s much smaller, and flavor profiles have evolved and been repositioned.